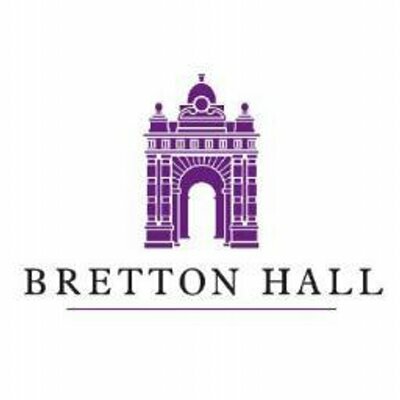 2016 Bretton Reunion held at the Yorkshire Sculpture Park. 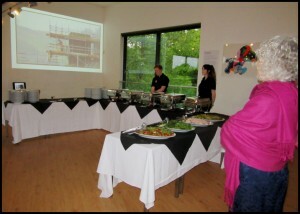 Once again, the Sculpture Park restaurant hosted our annual reunion. 72 ex- Bretton students and staff attended for the evening meal, which was even better than last year. Tables were arranged in year-groupings as far as possible, with up to 10 per table. The meal is always a buffet style with the choice being pre-selected by the Alumni. The staff are absolutely wonderful and a great atmosphere is always assured. Next year, the Reunion will be held in the same venue and the theme will certainly be the preparations for the opening of the Main Hall Hotel. 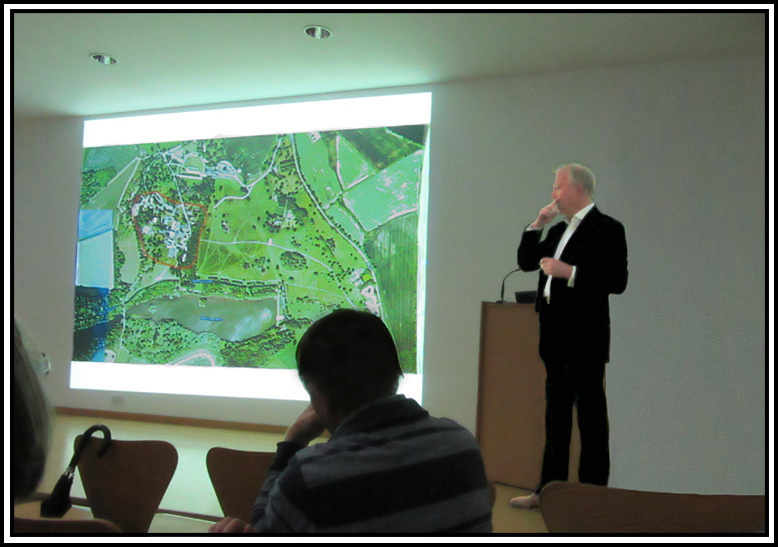 It’s quite possible, although not certain, that the new Bretton Hall Park Hotel will be opened some time next year. If it does, then we as the Alumni, will probably be involved in the launch. It has also been suggested that a date be chosen during the holiday period for a reunion, for those still working. Perhaps in future we shall have two ‘Bretton days’. This year some other informal groups met at Kennel Block during the afternoon. Twelve 1987 to 1990 drama students met for the first time in twenty-six years. The Bretton days can just be a chance to turn up and see who is there. This could be partly hotel based and partly externally based in the pub and Kennel Block. Anyway, we are not quite there yet with the construction of the Hall. More to follow as work proceeds. During the meal this year, ‘idea cards’ were handed out to each table. This was to get some thoughts about the uses of the name-plates from the hostel blocks. These have been removed for storage until the alumni decide what to do with them. Ideas included a Totem Pole, a sculpture, fronts for planters, seat backs, and also that the name plates should be used for naming the self-catering units to be constructed within Stable Block. The actual reunion starts on the Friday evening with informal meals and drinks in the Black Bull at Midgley. This informal evening gives a bit of a chance for different year groups to make contacts and exchange their varied experiences. Those staying next door in the Lodge are able to have a wee drink or two and stagger back without driving. 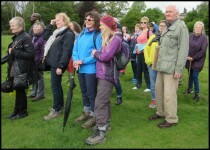 On Saturday morning, Richard Flowerday took a group of about 25 around the site of the hostel blocks and mansion, outlining in general, the work being carried out and how it related to the changes in Bretton Hall over the centuries. This talk put into context the presentation by Mark Finch from Rushbond in the afternoon. 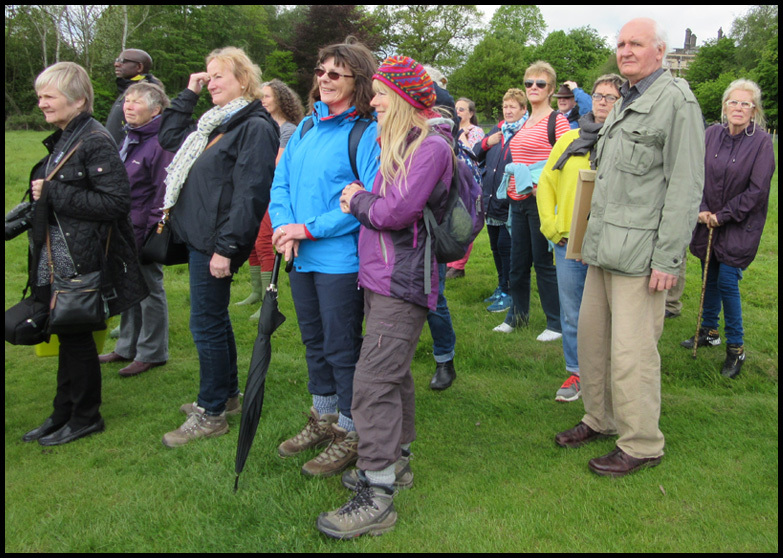 Richard takes groups around the Sculpture Park on a regular basis and he is our eyes and ears on the ground. He has a very good working relationship with the project manager and information is passed on to the Alumni on a regular basis. The Saturday afternoon session was held in the Sculpture Park Auditorium, and was an image-based presentation by Mark Finch of Rushbond about the developments in the Hall and grounds. Many of the Alumni present had been on the morning visit with Richard Flowerday, and so had a better grasp of the way the Hotel was being laid out. Questions therefore were more targeted on key points and opinions. A very good informative discussion, which was well received by all attending. Next year’s reunion is now booked for the 13th May 2017. It may well be the last Reunion in the present format, as the new hotel will certainly be open by the following year.